Gunmen murdered at least eight tourists and took dozens more hostage in attacks on the Tunisian Parliament and a nearby museum today. 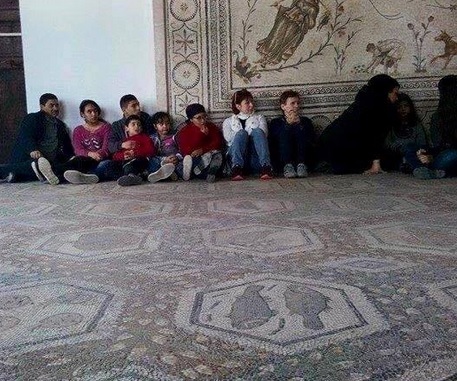 Children are among the hostages being held at the Bardo Museum in Tunisia. Eight people are dead – Seven tourists and one Tunisian. At least eight tourists were killed and others were taken hostage by militants who attacked Tunisia’s parliament compound, which includes a museum, a spokesman for the interior ministry said on Wednesday. The terrorists took several hostages at the Bardo Museum. HERE is video at the scene of the Bardo compound. Two Britons and two Italians are among the dead. UPDATE: Two terrorists and a police officer are dead. Two gunmen who attacked a museum in the Tunisian capital have been killed as well as a policeman, state television said, without specifying if the incident was over. “A policeman and two terrorists were killed,” Wataniya 1 television reported. A police source confirmed the death of the policeman to AFP. UPDATE: FOX News reported 19 were killed including two terrorists.